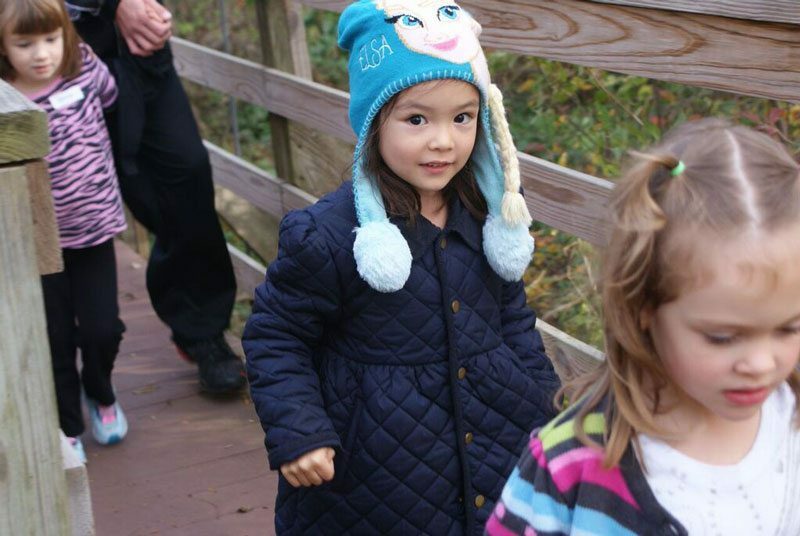 Early childhood field trips take preschoolers on a learning adventure indoors and out! Children actively learn about the natural world through stories, hands-on activities, games, crafts and songs. Offered throughout the year, field trips are approximately one hour long. Preschool groups are encouraged to enjoy Hazelnut Hideaway, our outdoor classroom, and trails before or after their program. The fee is $4 per student during the school year and $5 per student in the summer. There is no charge for adult chaperones, except for maple syruping programs which are $2 per adult. *programs marked with an asterisk are available off-site at your location! Ask us for more details when you call. Get to know Iowa’s wild animals! Use your senses to discover fun facts about their fur, their tracks, what they like to eat, and how they choose to live. Get moving with interactive animal games. Go for a hike to explore their habitats and enjoy the great outdoors. Discover the many good things bats do for us. Where do they live? What do they eat? How do these flying mammals hunt? Listen to a story and play a bat game. Honey is a sweet treat that the bees work all summer to make. You will learn all about it as you observe the community of a beehive firsthand in the Nature Center’s observation hive. Get to know the drone, worker, and queen bee. How do bees find nectar? How do they communicate with each other? Play a buzzing bee game. Explore the fascinating world of our feathered friends and go bird watching with a naturalist. Take a peek at our collection of bird nests and colorful feathers while you learn about their songs, characteristics and habitats. 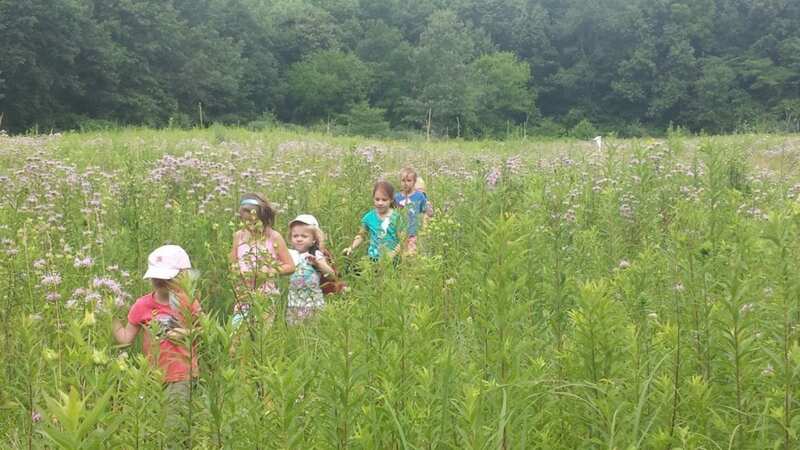 Sun, meadows and buzzing bugs create a special experience as you hunt through the tall grass prairie for insects and learn about their characteristics. 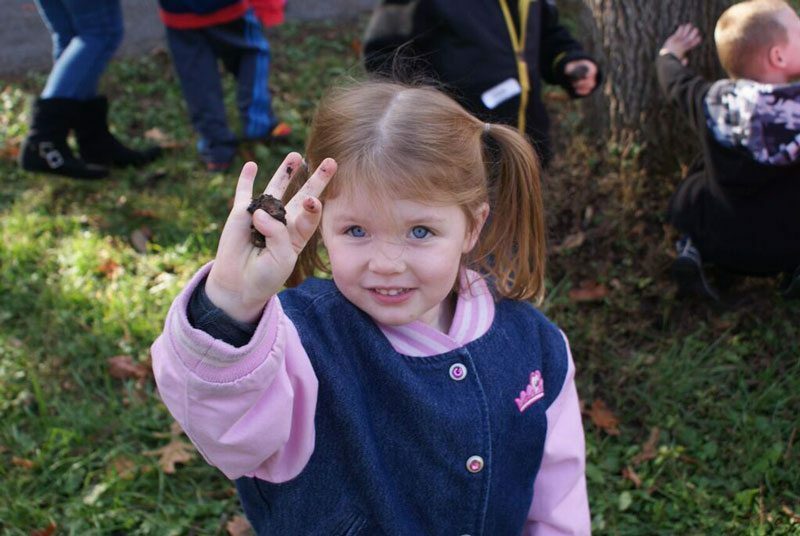 Explore the homes of butterflies, ants, grasshoppers, bees and more while enjoying the great outdoors at the Nature Center! Spiders are fascinating creatures. Discover fun facts about them, like what they eat and why they are helpful to humans. How many legs does a spider have? Go on a spider “hunt” on Nature Center grounds. Do you know that trees tell stories? Come learn the secrets hidden in apartment house trees. Learn the parts of a tree and discover the great things trees do for us. 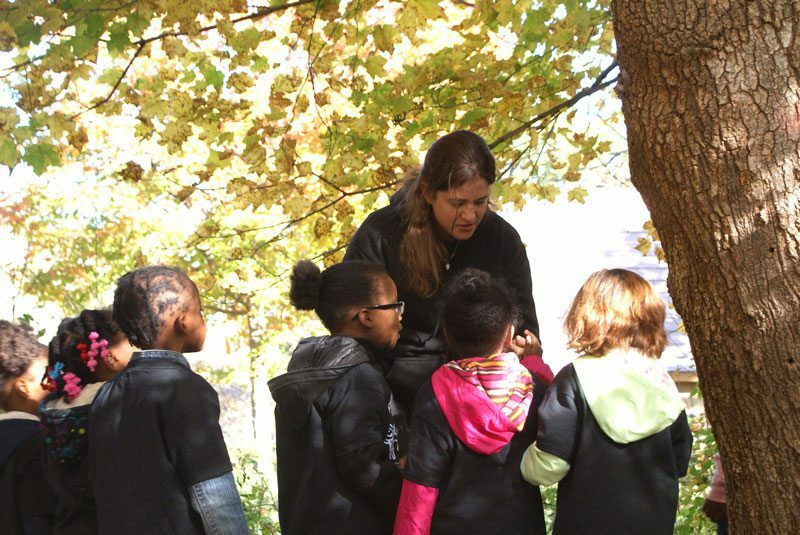 Search for leaf shapes, feel bark textures, smell a tree, and explore the forest habitats on Nature Center grounds. A short walk on the trails reveals tunnels, holes, and mounds of dirt. Who made them? How were they made, and why? Meet animals who dig for food, homes, and transportation at Indian Creek, and go on a nature hike. Creatures big and small leave their tracks and traces in the mud and snow – birds, squirrels, raccoons, opossums, mice and more! Go on a tracking walk, learn about food chains, and make an animal track craft. Nature is always changing all through the year. You might play in the the fall colors, or smell the spring flowers, play in the winter snow or dance in the spring rain. Explore all of the exciting changes in the seasons that are happening right now at the nature center grounds! Do you think your wingspan can match that of an eagle? Can you spot an object up to a mile away? Can you guess the size of a bald eagle’s nest? Discover the special habits of predatory birds and find out about the unique adaptations of owls and eagles. Hibernation, migration, and adaptation are the words of the day as we explore what different creatures do! We’ll play animal games to see how well you can hibernate, and discover what animals do to get ready for winter. Find out who takes a long winter nap and who stays awake to play in the snow. This unique, fun activity can only be experienced in late winter! Listen to Native American legends, tap a tree, and visit the sugarhouse to see how sap is made into delicious maple syrup. The hour ends with a taste of our real maple syrup on ice cream! Fee: Children, $4.00; teachers/chaperones, $2.00. As the weather warms up, so does the frog chorus! Listen for frogs at the wetlands. Learn about the frog life cycle and special frog features, sing frog songs, and go on a frog watching hike.